From the heritage of Alvar Aalto (1898-1976), finest Finnish architectonic and interior design collective Artek is in celebration time. A state-of-the-art new products to commemorate its 75th Anniversary. The brand follows a straight path since 1935 putting together architecture, design, craftmanship, technology, education and art. The name is a synthesis of emotional (art) and rational (technology). New kind of environments for the everyday life with timeless and functional designs. The brand has already run different events and activities for such exceptional commemoration. 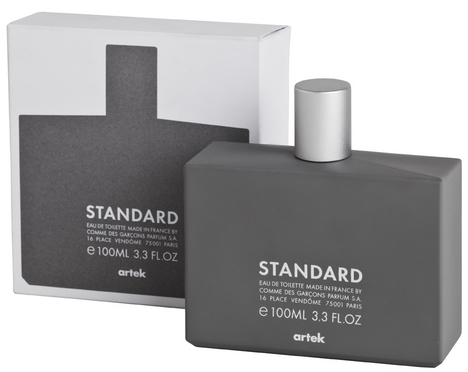 A warm up with Artek Standard, a fragrance in collaboration with Comme des Garçons launched at Dover Street Market last year. Standard this year is improved by a range of beauty products. Followed by the launch of “Dress the Chair”, a worldwide campaign to celebrate the skills and knowledge of Artek’s know-how. Renowned designers and artists were invited to be inspired by the classic armchairs, focusing on the iconic design Armchair 400 by Alvar Aalto. Affectionately nicknamed ‘The Tank’, the armchair was first shown at the Milan Triennale in 1936. 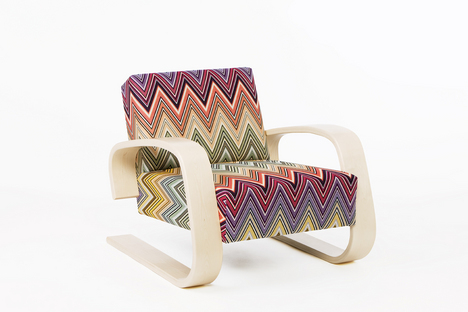 The project includes among many others a new version from Ilse Crawford, she did an art piece upholstered with reindeer hide and the armrests are untreated, and Rosita Missoni with her famous patterned knits of zigzags, waves, and stripes. 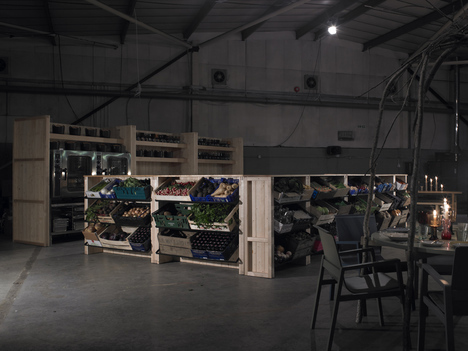 The lighting collection is an essential part of the product range. The public design projects commissioned from Alvar Aalto in the 1950s involved lighting solutions that led to several new lamp models, many of which were adopted into the product range of Artek. 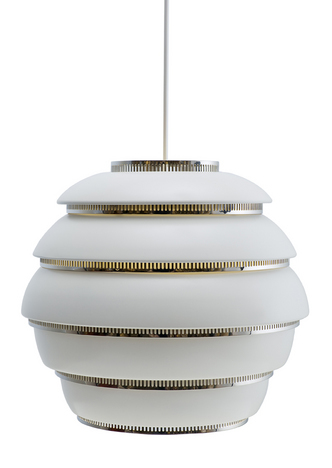 For the anniversary products we found Ceiling Lamp A331, Chrome plated steel rings designed by Aalto in 1953. It is White painted aluminium, polished brass rings. 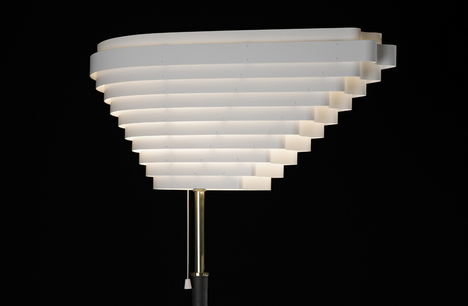 From the same collection it is a range of floor lamps, A810 + A805 with shade white painted steel designed by Aalto in 1954. 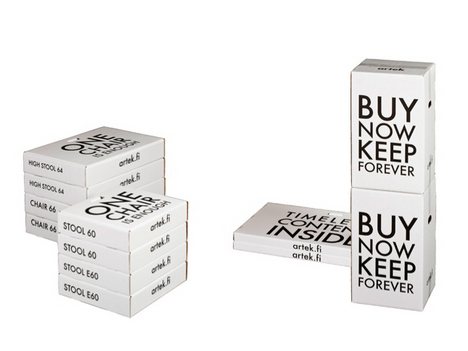 This year the brand also has done some improvements in the packaging with clear claims wrapping each product. All in accordance with the aesthetics of the brand and its ethical approach to the consumer. Other random projects around the brand this year are “Autoprogettazione project with Enzo Mari” an educational film talking about the essence of the form: the reasons and a practical demonstration of how to build the quality of the form of a design project. HEL YES! An exhibition mixing design and food held by The Finnish Institute during London Design Festival 2010. Next October14th and 15th the official celebration will take place in Helsinki. On 15th it is a seminar in collaboration with Aalto University and Alvar Aalto Foundation for the Jubileum Exhibition. There will be many jubilee exhibitions during the year. In addition, within the anniversary schedule on 19th a new flagship store will open in Stockholm. There is just one thing we can add: Congratulations Artek !